Tuesday’s meeting took a little while to get started with two deputations and a longer than usual Questions of Staff portion, but it wound up before 9:00. There were no surprises. Council unanimously agreed to continue fluoridating the Town’s water after a presentation on the public health benefits of fluoridation by Dr. James Chirico, the Medical Health Officer for Nipissing Parry Sound. Council also supported the Carling Township initiative to request the Near North School Board investigate including a pool complex with the future K-12 school. 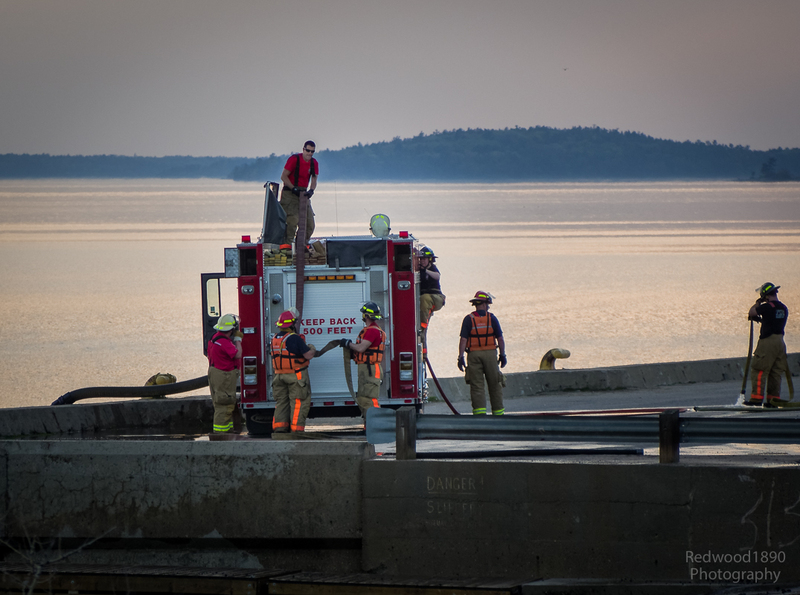 The questions of staff period revealed that there were no operating fire alarms at the property on Parry Sound Road that burnt down last week and resulted in one death. That was a rental property. Isn’t the landlord responsible for maintaining appropriate safety equipment, especially smoke detectors for a multi-unit rental property? I think this requires further investigation and action. Action also is required to ensure there is appropriate water pressure in all parts of Town to permit effective fire protection. The Parry Sound Road area is apparently in need of an upgrade in water services. The whole issue of fire safety is a reminder of why infrastructure is critical for personal and property safety. 4.2 – Randy Marsh, Director, Government Affairs, CP Rail. Re: Response to Letter sent regarding track speeds, track maintenance and train braking systems. FORWARDED. 5.1 – Brenda Ryan, Chair of the Waterfront Advisory Committee Re: Slide show presentation of Town Dock Improvements – Phase 1. It mostly involves a paint and bench refresh of the Waterfront. A Phase 2 initiative suggests removing the structure currently at the end of the Town Dock and replacing it with an observation structure. 5.2 – Dr. Jim Chirico, Medical Officer of Health. Re: Fluoridation in the Parry Sound’s Drinking Water System. An in-depth presentation that clearly explained why fluoridation is a benefit to the community. It also dispelled the misinformation that fluoridation at the levels recommended by health officials and as implemented in Parry Sound are toxic. Well done. I guess those who wish to avoid fluoride in the water they drink will need to purchase ‘bottled’ water or put in a well. 8.2 – Area Pool and Recreation Complex. Resolution. CARRIED. 9.1.1 – Canada 150 Community Infrastructure Program. Resolution. CARRIED. At the request of McDougall Township the project was scaled back to remove the portion from Nobel Road to Kinsmen Park. The issue as I understand it concerns the safety of pedestrians and cyclists crossing Nobel Road. 9.3.2 – Fluoride in Town’s Drinking Water. Direction. DEFEATED. I suspect that Council would have continued fluoridation without Dr. Chirico’s presentation, but he made it that much easier for Council to understand the pros and cons and more confidently make their decision. 9.4.1. 9.4.2, 9.4.3 – Resolutions. Waterfront Advisory Committee Terms of Reference. Town Dock Improvements – Phase I. Big Sound Marina – Dock ‘B’ Redevelopment. CARRIED. 10.5.1 – Business Improvement Area (BIA) Levy By-Law. CARRIED. I was surprised to hear that the Parry Sound levy is about a third that of other communities such as Midland. That may explain why our downtown doesn’t look quite as ‘dressed up’ as theirs. Practice, equipment, and infrastructure all make for a safer town.